Debbie Macomber is a wonderful author, known for her holiday novels Dashing Through the Snow: A Christmas Novel and Trading Christmas: The Forgetful Bride in addition to her best-selling Blossom Street novels. 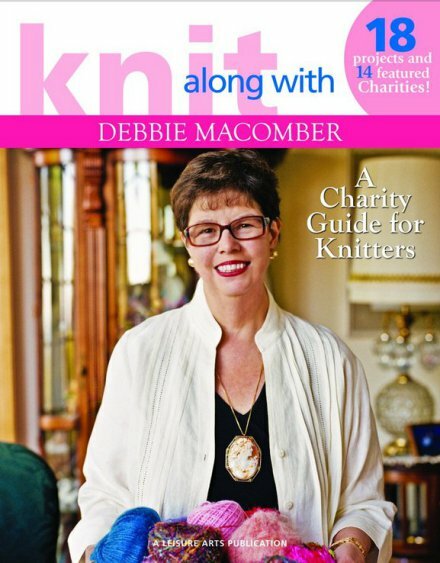 CraftGossip is giving away a copy of Debbie’s Knit Along with Debbie Macomber: A Charity Guide for Knitters. From CraftGossip: “In addition to the book, I will probably throw in a gift of yarn that could be used for charity knitting. But it’s a surprise, so you’ll just have to win to see what you get. So head over to CraftGossip by Sunday and enter to win! GOOD LUCK!